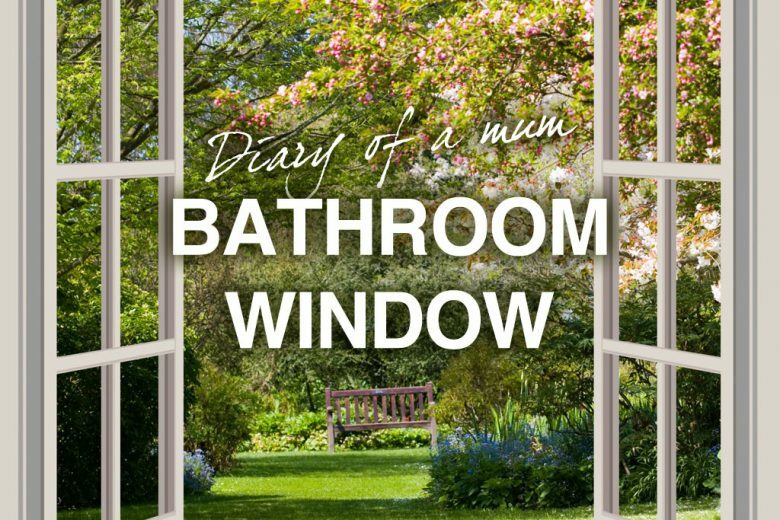 When mum of three Lucy Mason ‘has words’ with her kids, she closes the bathroom window. Lately, her bathroom window has been closed a lot, but a new work assignment helps to clear the air. When I’m about to yell at my kids, I usually do something that will probably become of symbol of terror for them in years to come, maybe even something to be worked through in future therapy sessions: I close the bathroom window. Our house is in a row of three, with a block of flats at the back of the garden. I’m no expert in the science of sound waves, but I do know that when the windows are open, much of what is said loudly (shouted) in the house can easily be heard by our neighbours, even though they are not reasonably within earshot. It’s possible that we live inside a kind of suburban whispering gallery, like the ones you find in St Paul’s Cathedral or New York’s Grand Central Station. So unless I’m just SO mad that I forget to do it, when I’m about to yell at the kids I’ll go quietly into the bathroom, shut the window, come back out again, and let rip. The bathroom window has been shut quite a lot lately, and I hate to say this but I think it’s because my work is building up. It’s no surprise – when I have loads to do I get stressed, and when I get stressed I yell at the kids. I was asked last week to cover a polo match which meant going along to a corporate banking event, chatting to some of the people there and writing up a feature afterwards. I used to go out on assignments a lot, but haven’t done something like this for years, especially going to something that is so far beyond my comfort zone. I was dreading it. When the day arrived I started to feel better. I’d been yelling at the kids/closing the bathroom window all week so I think we were all pleased to have an afternoon apart. And despite feeling like I should dress for the occasion in something hideously formal (my only knowledge of polo matches is from the Pretty Woman movie and seeing people with up-turned collars in Hello magazine) I wore a smart summer dress I felt comfortable in, and a borrowed handbag from my neighbour. Spiral notebook (for fast page turning). Couple of pens that glide smoothly and quickly across the paper. List of people’s names to target for interviews. Voice recorder (I’ve just got an iPhone 4 and it has a brilliant one built in). Mints (the most important piece of kit in my opinion – I can’t concentrate on asking questions while worrying someone is trying to back away from my breath). Once I got to the polo club I found my contact, discussed the brief and was off. It was like getting back in the saddle (pub intended). I love the way you can chat to anyone when you have a notebook and pen in your hand. People who you’d never usually have the courage to approach, or who would never normally speak to you, usually love to be interviewed – or seen to be interviewed in front of their friends and colleagues. Anyway, now the assignment is over and almost written up I’m so much more relaxed. The kids are happy, I’m not yelling, and the bathroom window has been open all week. Happy days.